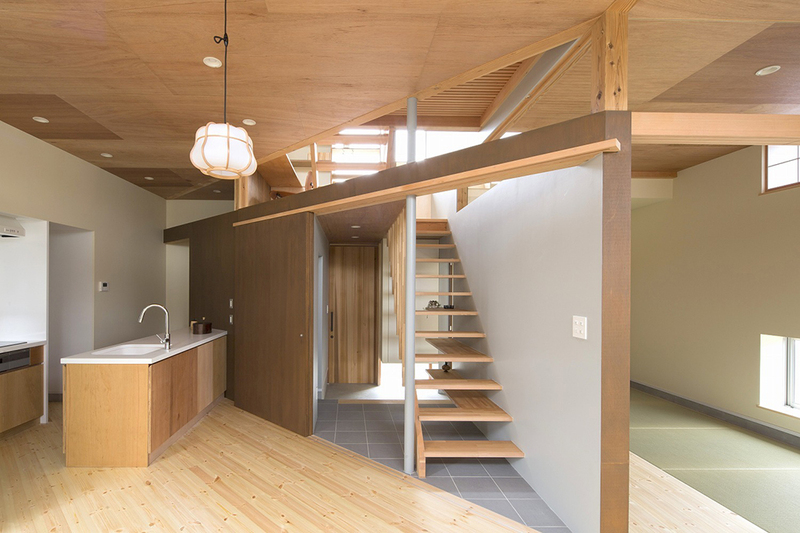 Because I’m in love with Japanese houses and architecture I wrote this blog with some beautiful examples I found. 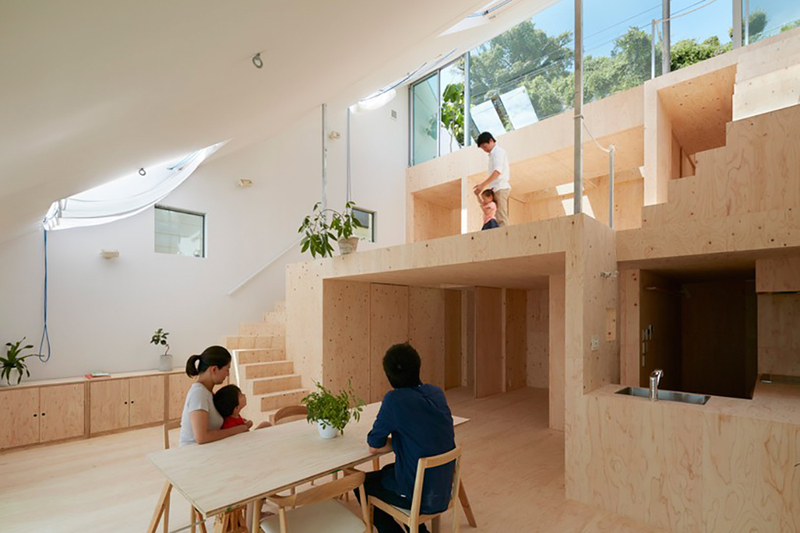 In Japan often the space for a house or apartment is limited. 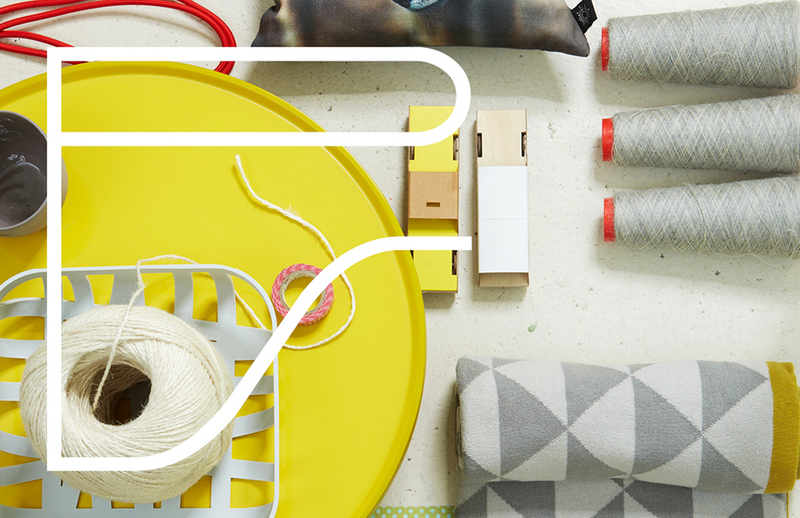 The designers are forced to come up with design ideas to store stuff and still the atmosphere of the interior stays clean and simple…inspiring! 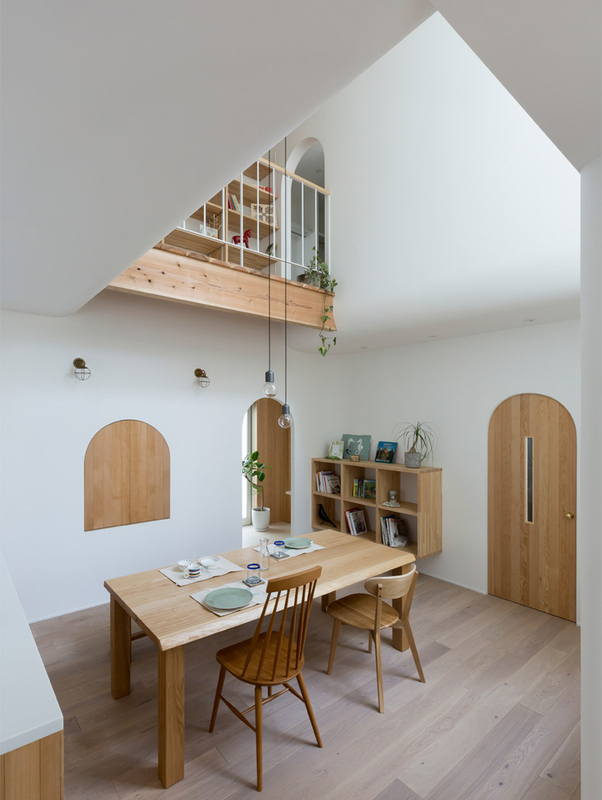 Arched openings and curved walls feature throughout this compact family home in Japan, designed by architecture studio Alts Design Office to make the interior feel more cosy. An angular roof gives the building an asymmetric profile. But most of the other architectural elements have curved corners – from the doors and windows to the walls, floors and ceilings. 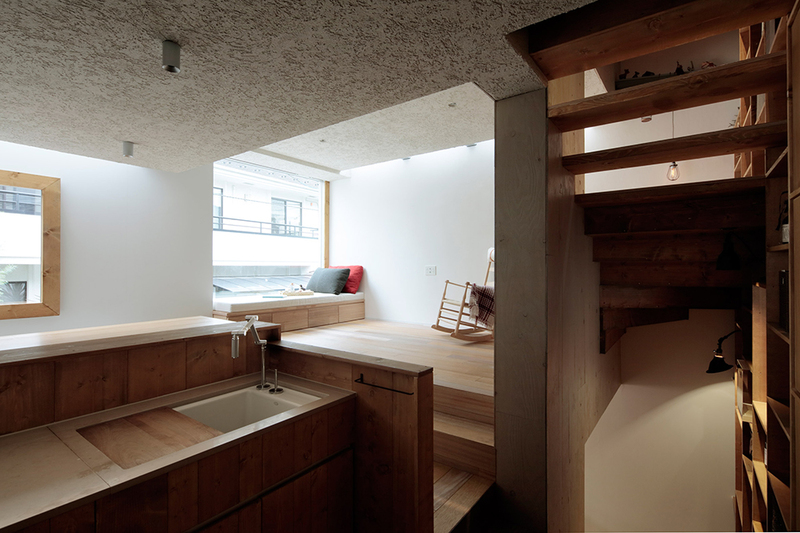 The ground floor is laid out over split levels, emphasising the separation between different rooms. The living spaces are set higher than the entrance space, helping to frame it, and the lounge is a few steps up from the dining area. 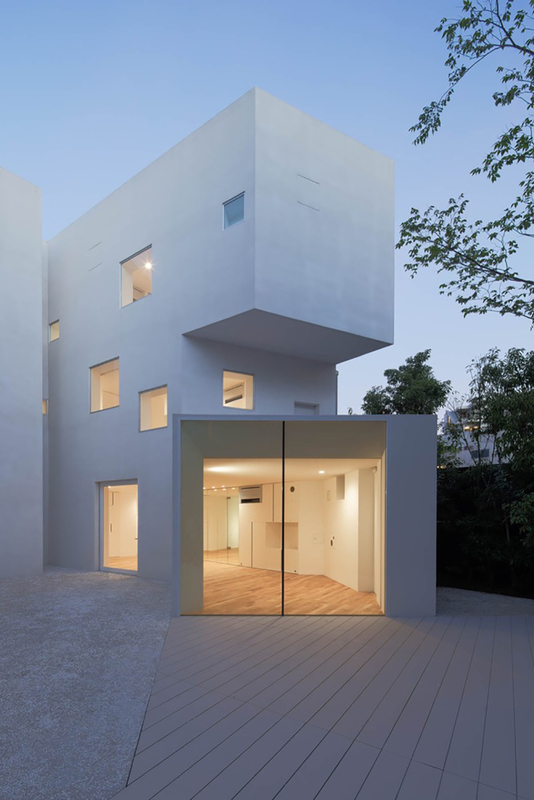 Architect Hiroyuki Arima has completed an all-white residence in Fukuoka, Japan that doubles as a exhibition gallery at its ground level. 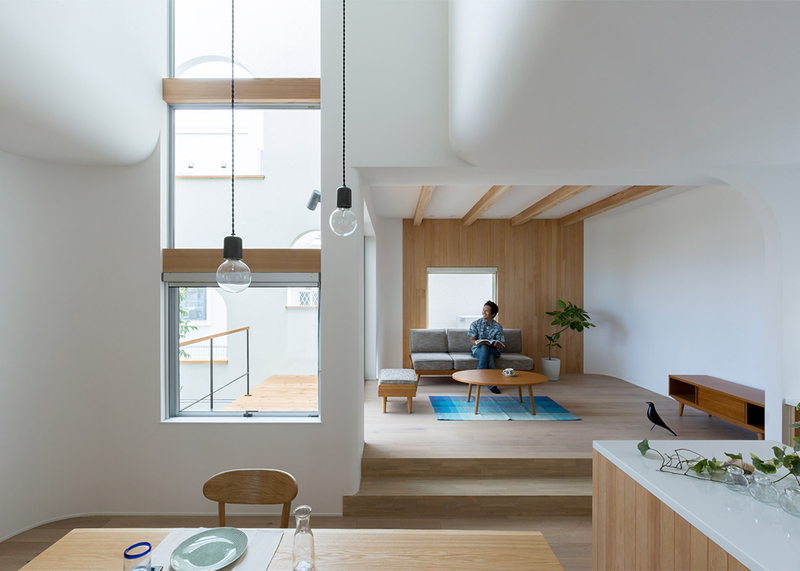 Hiroyuki Arima, who leads architecture practice urban fourth, arranged the dwelling around a central courtyard, conceived as a quiet place of contemplation away from the hectic city streets. The three-storey building rises in a U-shape around the courtyard with all internal areas offering pleasant external views. 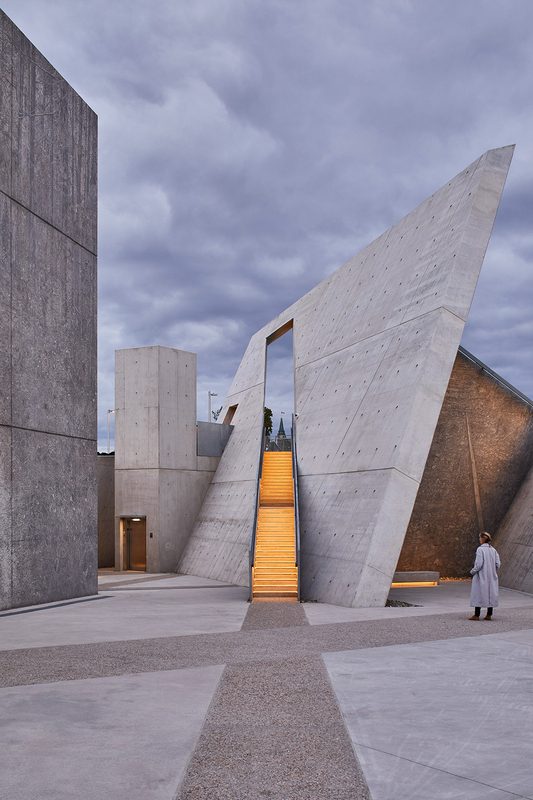 The project is viewed as a composition of angled monolithic volumes with square and rectangular apertures cut into the brilliant white façades. 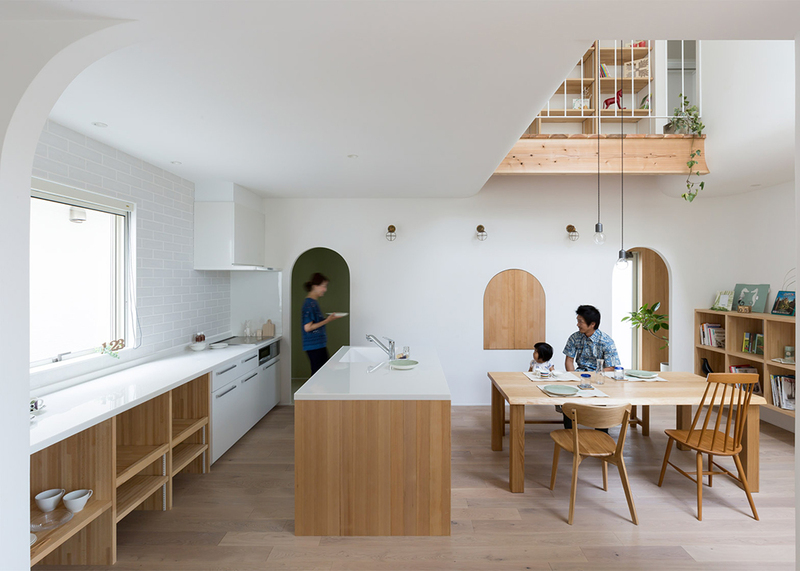 The staggered stack of boxes that form this family home in central Tokyo contain a set of spiralling, interconnected rooms. 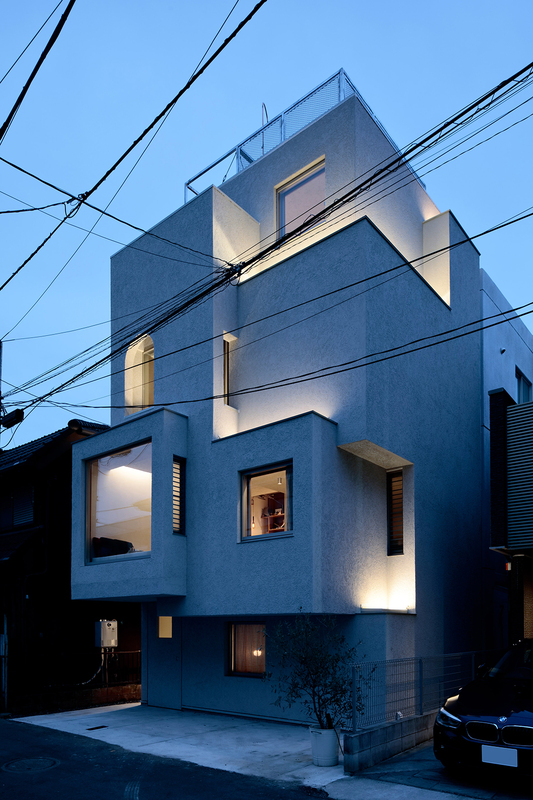 Architect Daisuke Ibano worked with Ryosuke Fujii and Satoshi Numanoi to design the house for himself. The composition of the internal space appears in the external form. 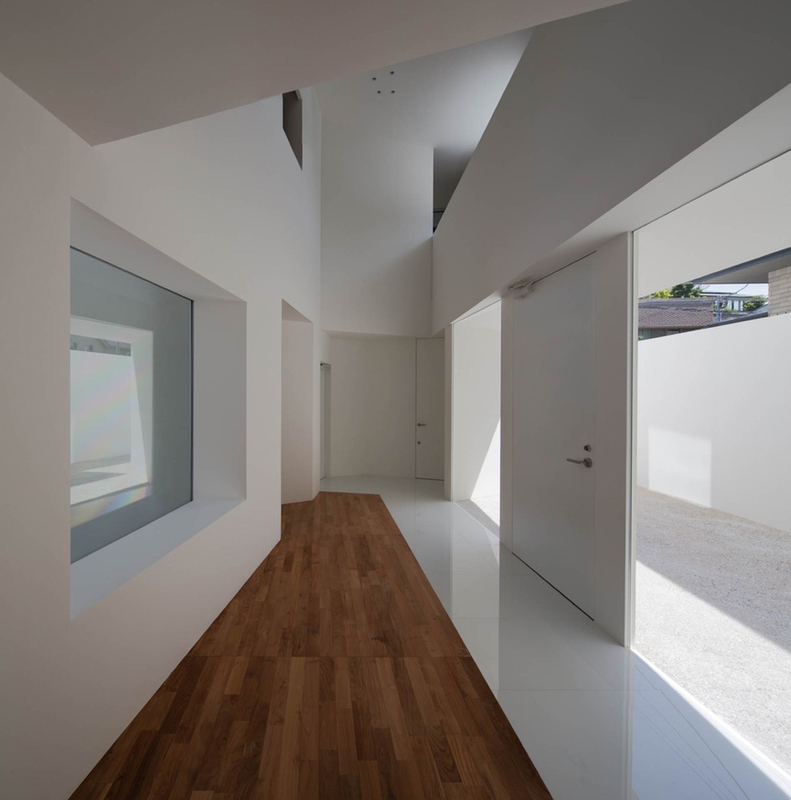 Rather than using doors and corridors that would take up precious space, changes in level perform the function of separating the different rooms. Another aim for the interior was to provide a variety of spaces with unique characteristics, despite their contiguous arrangement. 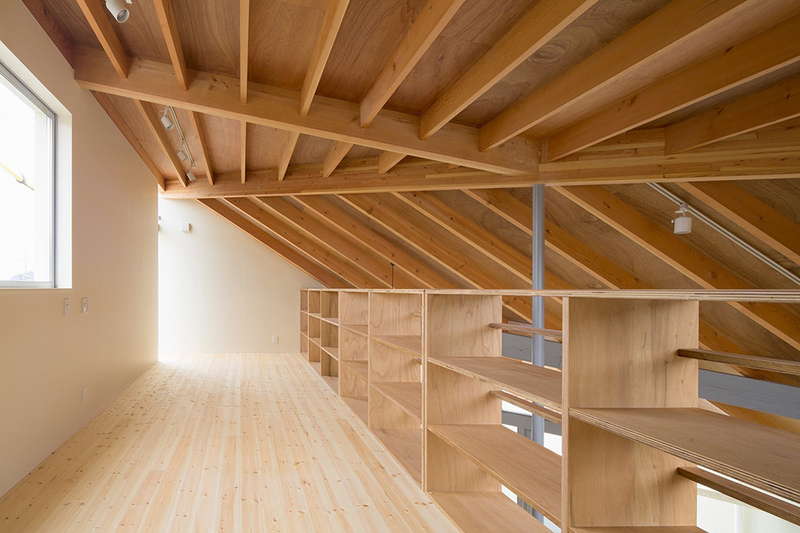 A steep wooden roof covers the staggered levels of this family house in the Japanese city of Fujieda by architect Yoshiyasu Mizuno, concealing its full scale from certain angles. 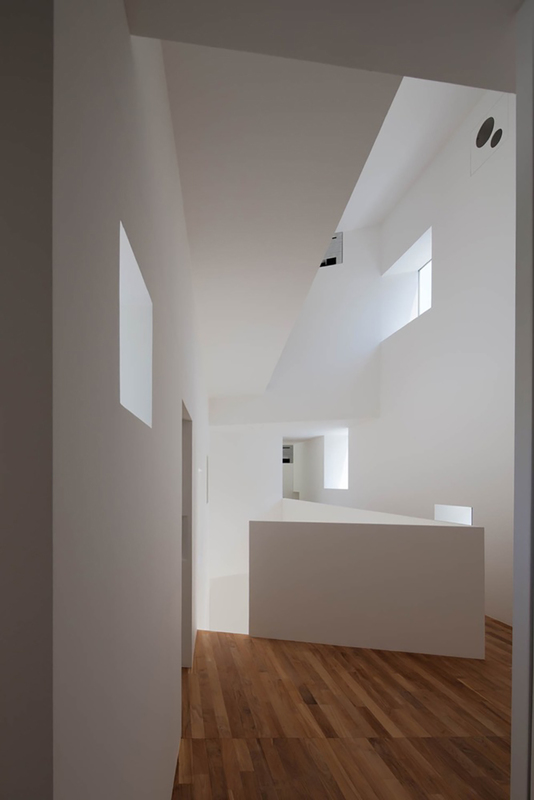 Designed for a couple and their two children in Japan’s Shizuoka Prefecture, Terada House occupies a square-shaped plot that abuts an existing residence. Spaces are arranged in a variety configurations up the stepped levels, with open stair treads and balustrades creating views between them. 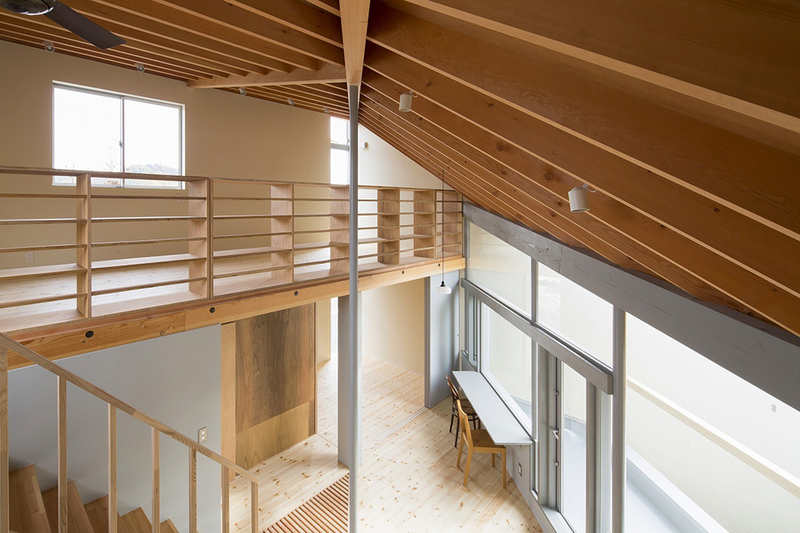 Japanese architect Tomohiro Hata gave this ridged metal residence in Kobe a staggered plywood interior and a broad pitched roof that follows the sloping terrain. 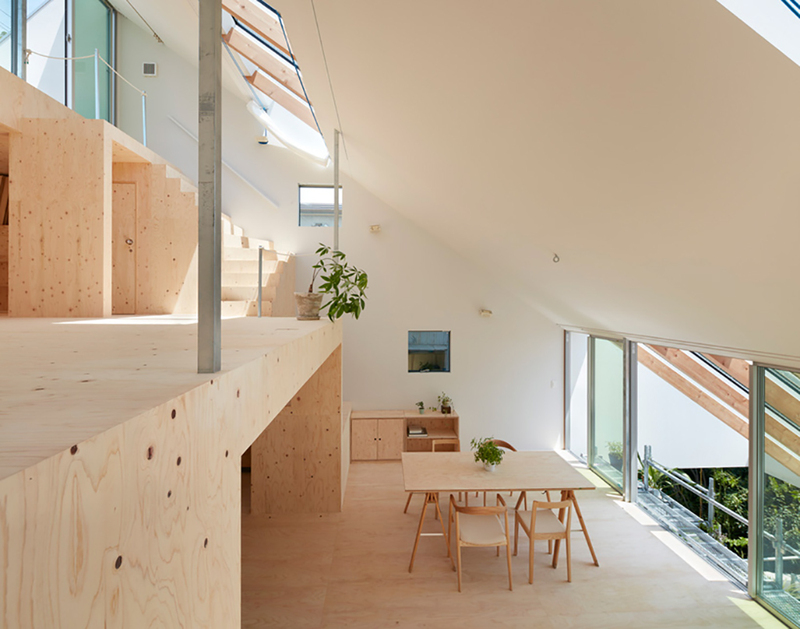 A step had been cut into the slope to form footings for a row of gabled houses, but the architects wanted to design a new residence that would restore the natural slope. 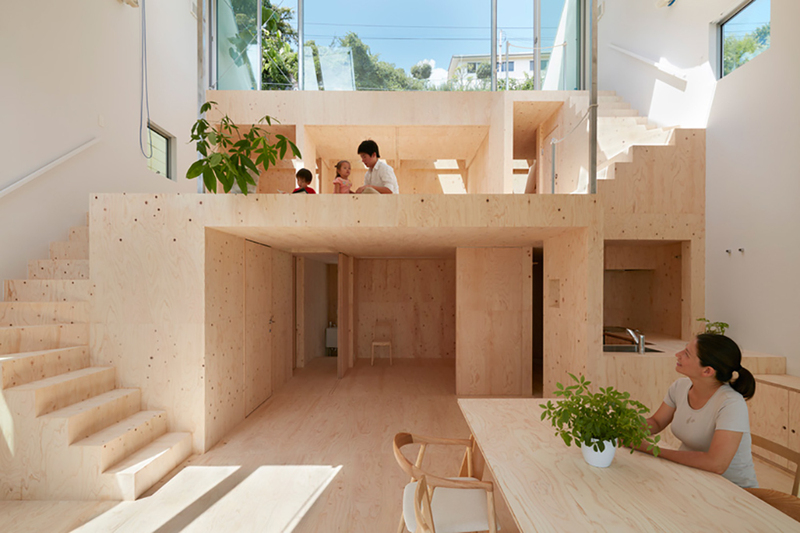 The interior is divided into storeya by a series of plywood platforms linked by boxy stairs. 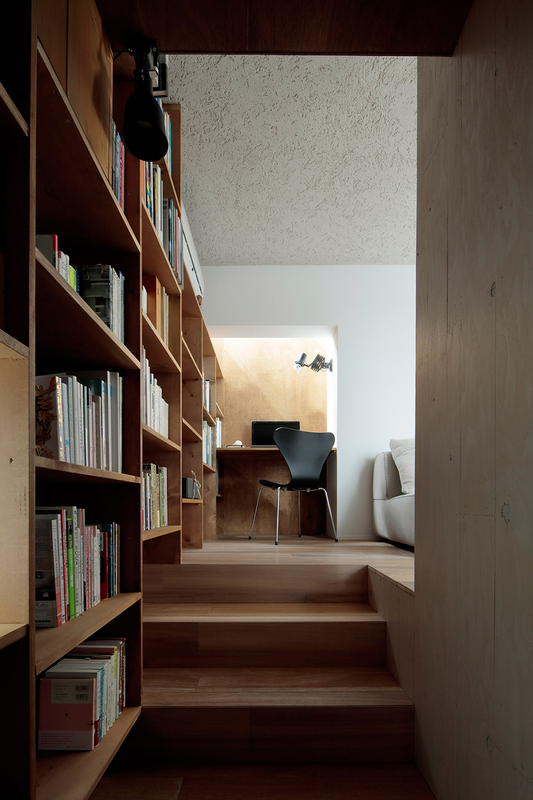 Photographs and parts of the text from Dezeen, ArchDaily and Designboom.